Officers clamping down on hare coursing in Lincolnshire, under Operation Galileo, have arrested 10 men since September 1. In addition to the arrests, two cars and seven dogs have been seized and several men have been told to leave the county. 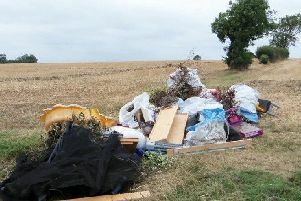 Among the areas targeted by hare coursers have been nearby Rippingale and Horbling. Chief Inspector Jim Tyner, force lead for rural crime, said: “This shows our commitment to continue to tackle hare coursing while balancing our response with other calls for service. “We have introduced a policy of seizing dogs as this is believed to be a significant deterrent. * On September 4, three men from County Durham were arrested for hare coursing at North Cokerington near Louth. Their vehicle and three dogs were seized. The men are on bail pending further enquiries. * On October 2, a man from Middlesbrough was arrested for trespassing in the pursuit of game in the Horbling area. He was reported for summons and given a formal direction to leave the county. * On October 2, three men from Market Harborough and Wales were arrested for hare coursing in Deeping St James. A vehicle and four dogs were seized. One of the men was also arrested for driving offences. Two of the men were reported for summons, the third is on bail for further enquiries. * On October 2, three men were stopped at Fosdyke following a report of hare coursing at Bicker. They couldn’t be linked to any offences and were given a formal direction to leave the county. * On October 4, three men from Surrey were stopped following an allegation of hare coursing in Postland, Crowland. They were reported for summons and a prosecution file is being prepared. * On October 15, five men from South Yorkshire with lurcher type dogs were stopped at Rippingale following an earlier report of poaching in the Pickworth area. They couldn’t be linked to any offences and were told to leave the courty.